Join / Renew TASC now! 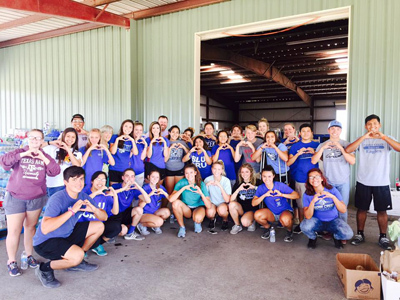 The Texas Association of Student Councils (TASC) is a non-profit organization serving high school and middle level student councils in Texas. Sponsored by the Texas Association of Secondary School Principals, TASC is the Texas Affiliate of the National Association of Student Councils. Its purposes are to develop leadership abilities in students, promote democracy as a way of life and establish and uphold high standards for local councils. Organized in 1937, TASC has grown to serve more than 1300 member schools in Texas. Any junior or senior high school, public, parochial or private, may become a member of this organization by paying the annual membership. Vision: TASC builds leaders who positively impact our schools, communities, state, and nation. Mission: TASC promotes, develops, and empowers leadership development through student councils and advisors in Texas schools. We believe in a powerful student voice. We believe in the journey of leadership. We believe in building a strong web of support. We believe that leadership skills can be learned and enhanced. TASC will develop leadership skills, empower student voice, and positively impact school and community culture and climate. TASC will enhance the journey of leadership for students, advisors, and their councils by providing training and a network of support. TASC will offer strategic support at the local and district level. TASC will advocate for successful student council programs. A Student Council is a group of elected and volunteer students working together with an adult advisor within the framework of a constitution or bylaws to provide a means for student expression and assistance in school affairs and activities, give opportunities for student experience in leadership and encourage student / faculty / community relations. The TASC Facebook fan page is: TASC_StuCo. To have videos or photos posted, send them to the TASC State Secretary or Terry Hamm. Cooperates with Commissioner of Education in selecting delegates to attend the Senate Youth Conference in Washington D.C.
TASC Board policy allows out-of-state schools to participate in TASC activities. An affiliate membership is open to all like minded groups and individuals.